Affirmation, fulfillment, declaration; these are all terms used to describe motivational speaking. This form of address is designed for the masses. Though they prey on the singular, all these words refer to an inherent plurality: which is to say, yourself in others. Affirmation is mirrored through encounters, fulfillment is only expressed to a counterpart when it is lacking, and declaration depends on an audience of listeners. Yet, while these definitions point towards self-help culture – lifted in fact from Roland Barthes’ A Lover’s Discourse – nowhere in his lexicon does Barthes include aider, “to help.” Rather, only actions that approach a similar, though distinctive, definition of self-love are indexed. Beyond these terms, which lie at the ethos of “the motivational,” the only other synonym offered is perhaps dépendance, “dependency.” Though the term implies weakness, it resists tenderness or sentiment – two emotive responses that lie outside of describing what it means to enforce the self. It is not an action defined by one word, but described by many; it is its own discourse. The dated advancement we match to this phenomena – imagine, of course, suburban conferences, TED talks, tapes found in department store book aisles – hinge on their direct opposition to doubt. Or, in opposition to art. Vancouver-based Kyla Mallett’s first solo exhibition in Chicago, Personhood, at Paris London Hong Kong is an exception to that rule. 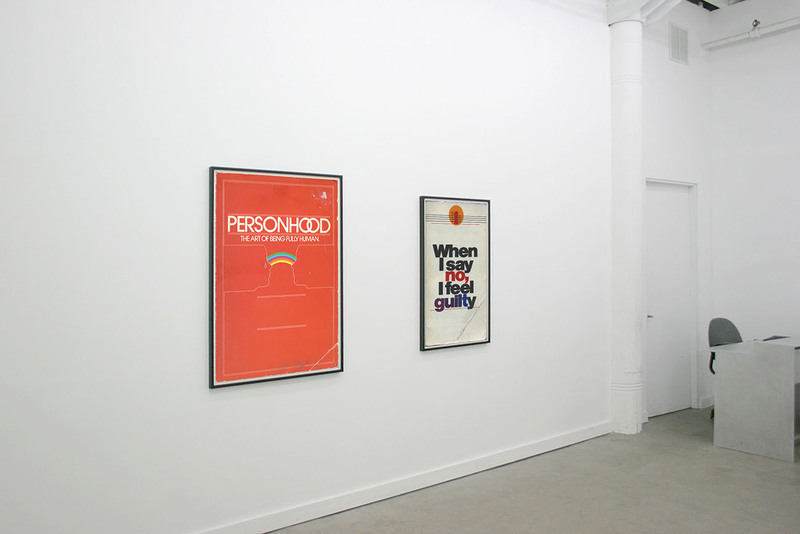 Five large-scale prints resembling posters and covers of books are evenly spaced throughout the small gallery. 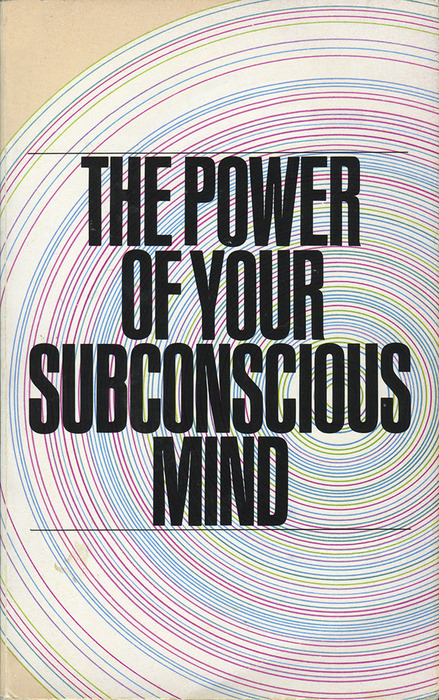 Texts borrowed from book titles such as “Being Yourself, 24 Ways to See the Light,” and “Personhood, the Art of Being Fully Human” echo new-age ideals and in that vein belong to a design aesthetic of the late '70s to early '80s. 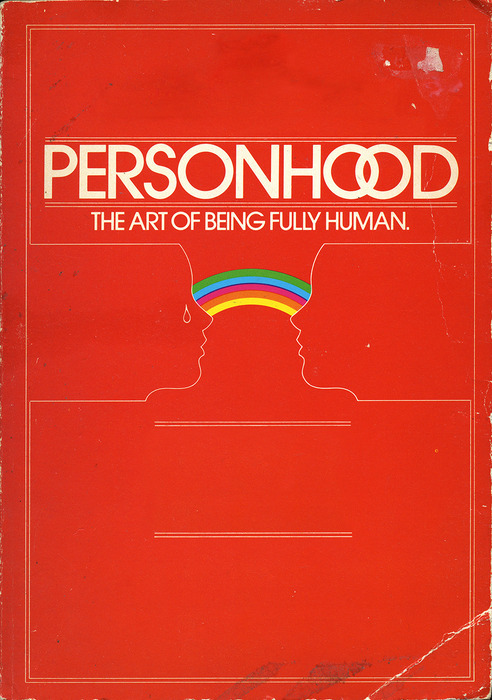 In Personhood, a work synonymous with the title of the exhibition, a thin, white outline against a high-key graphic red background denotes a nearly symmetrical illustration of two heads facing one another, the only difference being that the one on the left is demarcated with a perfectly placed tear drop, both connected by a rainbow extending from the eyes. It evokes the type of illustration you would find on a paperback copy of A Brave New World, or something similarly utopian tinged with science fiction while referencing the myopic, single-minded vision of a Rubin’s vase – a flatness that depends on a limited psychology, though not without depth. In other works, compositions are equally as harmonious, while anxiety prevails in the text – such as “When I say no, I feel guilty,” or “What do you say after you say hello?? ?” Mallett’s choices in pairing image with language are smart, deceptive, and directly poetic. What makes them tender is their illusion; the form of the book cover is a strategy to disarm the viewer, and though the form itself returns, it is not repetitive. Instead, the images become softer upon interaction; the language is cold, but its delivery is not. While the pieces address the individual in the same way motivational conferences focus on you – unnamed, distant, and unfamiliar – in a room of thousands, they remain plural because of their open associations. Approaching the structure through Barthes again, these works contain something the original form does not, and it is Mallett’s expansion of the terms we can attach to self-love that is precisely/paradoxically their inclusivity. To quote from tendresse, “tenderness”: “Where you are tender, you speak your plural.” In the realm of questionable practices (the pejorative figure that teaches self-help is an uncertain academic after all, an inexpert by trade), this tenderness is essential. The doubt Mallett introduces matches the translation of the overly definite preaching she appropriates into an acceptable art – starting where the changeable and less static definitions of new-age enlightenment begin, and certainty end. With a measure of doubt and pride, Mallett ventures into images that complicate the very boundaries of defining a dated take on a current issue. As the first chapter of a larger program entitled Slow Frequency, an exchange between Chicago (threewalls, devening projects + editions) and Vancouver/Berlin (Or Gallery) galleries, this first installment, curated by Dan Devening, is one of many to come between now and 2015. Following soon is the exchange of Chicago artists Troy Briggs and David Hartt for solo-exhibitions in Vancouver at Or Gallery, as well as an exhibition of Canadian artist Ron Terada to open at threewalls within the next year, his second in the city since Being There at the Museum of Contemporary Art Chicago, in 2012. A Lover’s Discourse, Roland Barthes, p.225.